The Water-Efficient Landscape (WEL) demonstrates that a beautiful garden can thrive on low amounts of supplemental summer water. 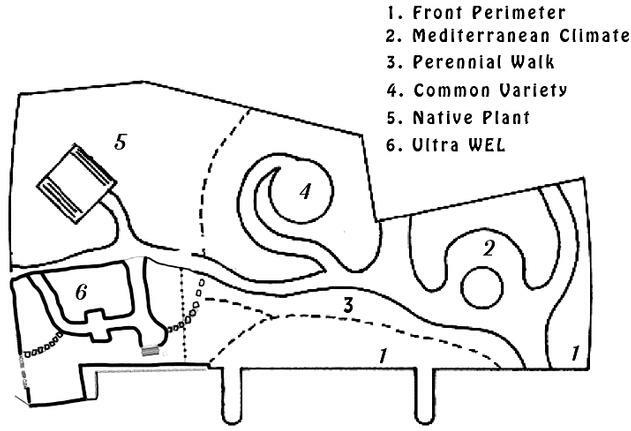 This demonstration area is composed of six gardens designed to offer a variety of landscaping options. Photos of the gardens are included below. The map shows the location of each garden for your next visit. 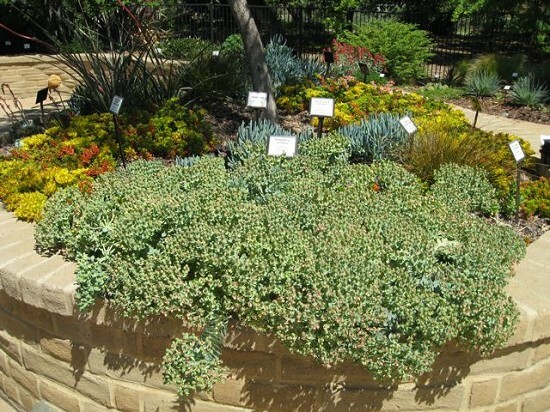 In addition to water wise plant selection, this demonstration garden incorporates various water efficient landscaping techniques. These include the use of compost to improve soil structure, drip irrigation, and mulch to reduce soil moisture loss and weed growth. 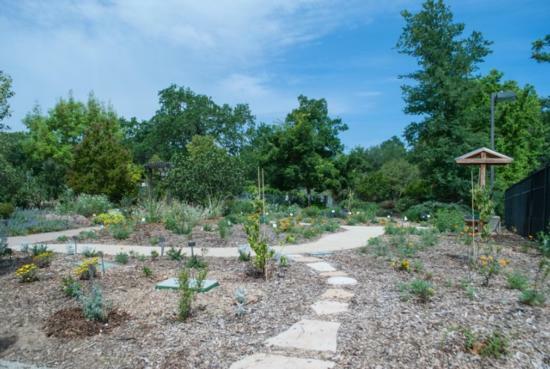 The gardens demonstrate that it is possible to conserve water and have an attractive landscape at the same time. By using water meters, we have found that our WEL gardens use about 65 to 75 percent less water than an average lawn of similar size. This is our most recent garden addition, installed in November 2015. We chose species that require low to very low amounts of water. We water deeply and infrequently, and once the plants are fully established (2018) we plan to extend the watering frequency to once every 3 to 4 weeks in summer. Visit the Ultra WEL for more information. This section along the front border and mounded areas contains a variety of plant types, including groundcovers, larger shrubs, and grasses. There is a wide array of colors and textures in foliage types as well as flowers. A field of California poppies currently occupies the future site of an Asian garden. California is considered a "Mediterranean" climate because of its cool, wet winters and hot, dry summers. Plants in this garden are naturally adapted to this weather type, needing less water and care than many water-loving nursery selections. 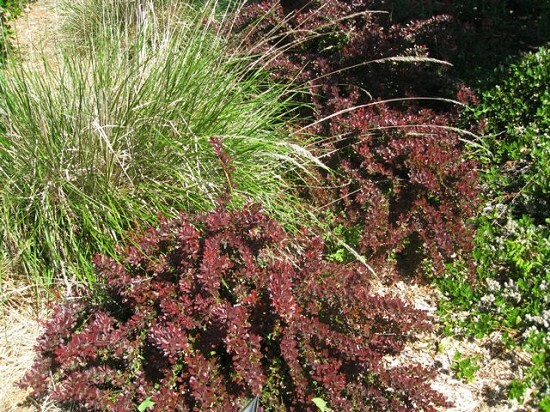 They display characteristics that enable them to defend themselves against summer drought and lean soils. This distinctive climate pattern is also found parts of Australia, central Chile, and South Africa. 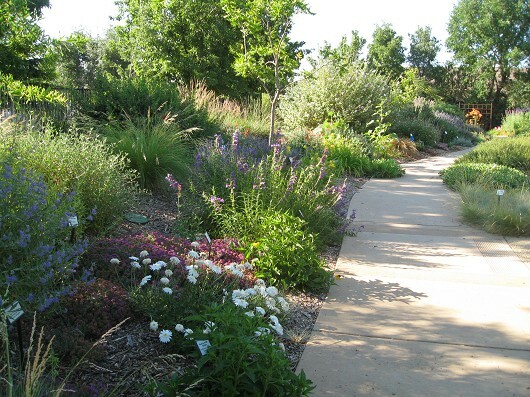 This walk is filled with herbaceous (non-woody) perennials, grasses and bulbs that bloom at different times, providing changing seasonal interest. 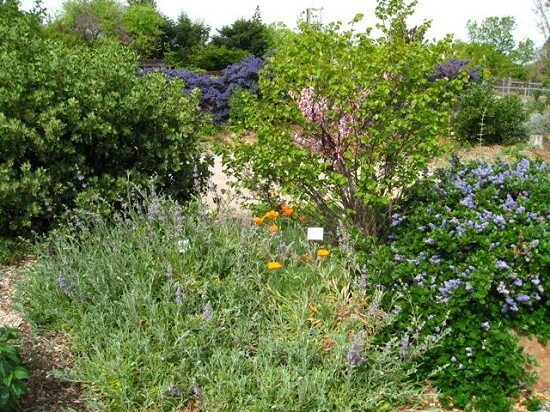 Perennials live for 3 or more years, most of which die back to the ground at the end of the growing season. These plants are commonly found in the nursery trade, but survive on lower amounts of water than customarily assumed. A permeable concrete walk and patio are set off by overhead vines and colorful blooms. 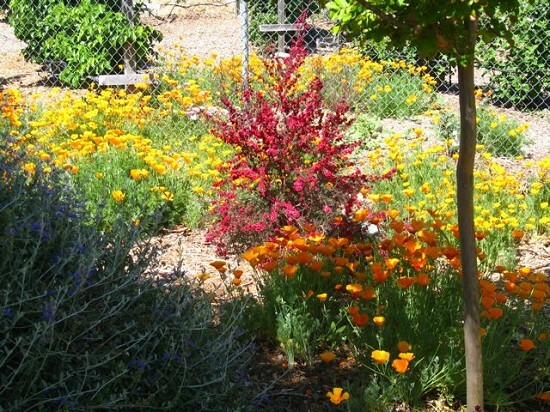 The California natives in this garden were selected for their residential application. With minimal supplemental summer water and little to no soil amendment, these can be kept attractive year round. Natives attract more beneficial insects than non-natives, and they incorporate well into established Mediterranean-type gardens.